Laravel is one of the most popular PHP frameworks and is also the top choice of several leading developers for making robust and fully functional websites as well as applications. Laravel web development is so prevalent these days because Laravel happens to be an open source framework based upon MVC pattern of architecture. Laravel allows easy and strategic development of web applications as well as websites in no time. Saving development time, Laravel Framework is so natural and easy that it reduces the learning curve to just a day. Laravel provides high flexibility and reliability to the team to develop outstanding web applications based on Laravel Framework. 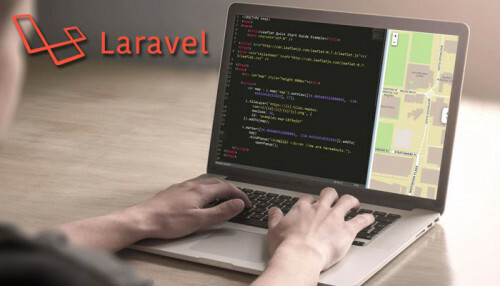 Laravel Web Application Development: We develop Laravel PHP web applications with simplified syntax and code which are geared towards better customer engagement. Laravel CMS Development: We design a Content Management System which includes easy back-end styles, theme impl, mentation, multiple user accounts and management. Third-Party App Integration: Our clean and simplified coding enable us to integrate third-party applications with the client’s existing website for improving the functionality. Theme Design and Integration: Hire our Laravel developers to get aesthetically designed and clean themes for the website. We also integrate customized themes with the client’s existing website for enhanced visibility. Laravel Support & Maintenance: We offer ongoing maintenance and support services for the PHP Laravel web and apps of the clients to keep them updated and ahead of the competitors. Laravel eCommerce Solutions: Our Laravel app development services for eCommerce comprise of building shopping carts, simple authorization systems, template files, etc. Each of our Laravel developers is well-acquainted with all the aspects of the Laravel framework, thus making our services simply perfect for you. OdiTek's Laravel developers specialize in creating custom web apps that are reliable & maintainable. Our Laravel development team work with all latest development and project management tools to organize teamwork and make quick development process. We always welcome, your choice of technology and happy to help and adopt the same.